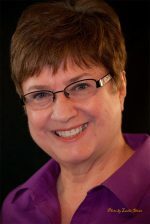 Barbara Barrett spent her professional career as a human resources analyst for Iowa state government, and that training has stayed with her in her writing of contemporary romance fiction. Now retired, Barbara spends her winters basking in the Florida sunshine and returns to her home state of Iowa in the summer to ?stay cool.? Married to the man she met her senior year at the University of Iowa, they have two grown children and eight grandchildren. When not writing, she enjoys playing Mah Jongg, lunching with friends, and supporting the Iowa Hawkeyes. Her website can be found at www.barbarabarrettbooks.com.